Here’s how you can get free tickets for London and the South West’s top tourist attractions. You could save some serious money by taking up one of these wonderful 2-for-1 special promotions from rail operator GWR and the Days Out Guide in association with National Rail. All you have to do to qualify for this great ticket hack is simply travel into the capital by train – it couldn’t be simpler. 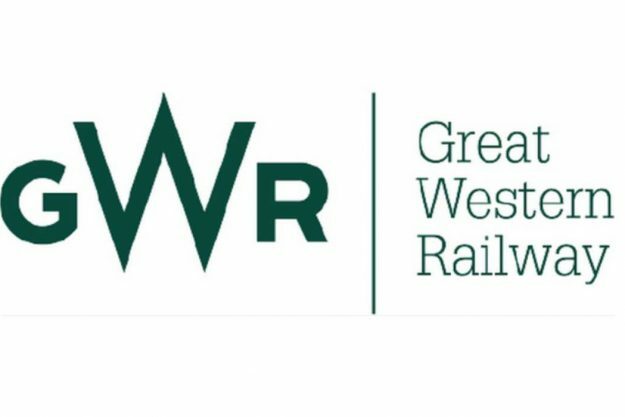 Choose one of the participating attractions on the GWR website here, print out your tickets and present them at the door along with your train tickets to get in on the special two-for-one rate. 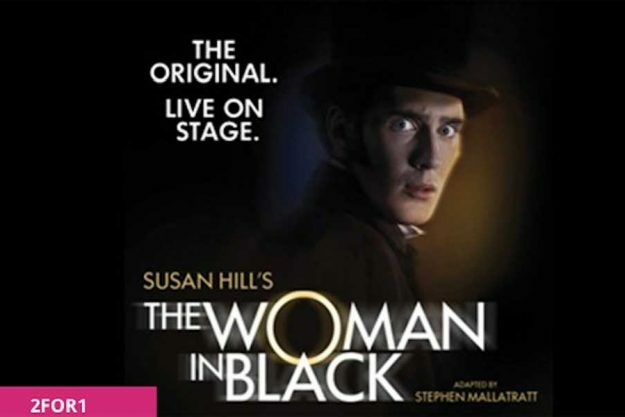 West End masterpiece The Woman In Black has been thrilling audiences for 27 years – and remains an absolute must-see. Tickets are available from £57 and the offer runs until 30/04/2019. 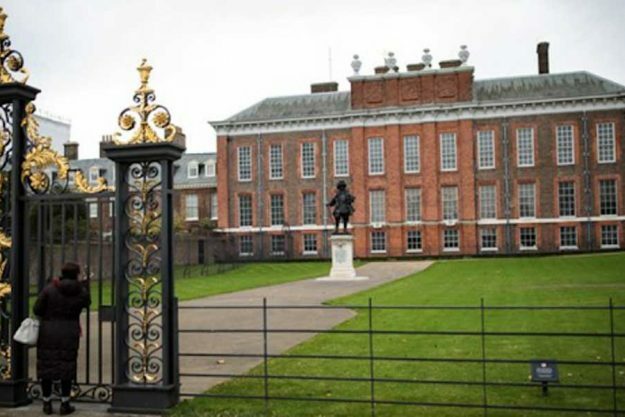 For over 300 years Kensington Palace has been residence to Britain’s young royal families. Share the experience of this public palace and private home in the heart of Kensington Gardens as you discover the rooms where Queen Victoria spent her childhood. And don’t miss the incredible Diana: Her Fashion Story exhibition which traces the evolution of the princess’s style. The View from The Shard is London’s premium visitor attraction, located at the top of Western Europe’s tallest building, The Shard. 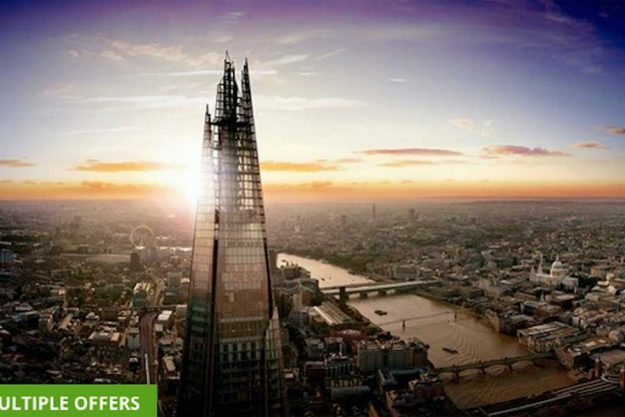 At a height of up to 800ft or 244m and at almost twice the height of any other vantage point in London, visitors will experience unrivalled 360 degree views over the city for up to 40 miles on a clear day. With over 750 species of animals to meet and thousands more surprising and fascinating facts just waiting to be discovered, ZSL London Zoo is the perfect day out for all the family.Find yourself face to face with Asiatic lions and catch friendly giraffes whilst they enjoy a spot of lunch. Wander through our Madagascan shrub forest and see how many ring-tailed lemurs you can spot before heading down to B.U.G.S to quiz the insect experts on the important of insects to the zoo’s ecosystem. 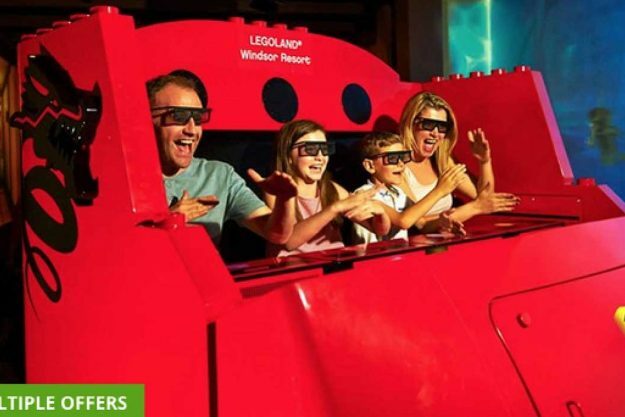 Visit the LEGOLAND® Windsor Resort and experience the ultimate LEGO® adventure! Whether you are earning your very first driving licence behind the wheel of a LEGO car at the LEGO City Driving School, helping at the LEGO City Coastguard HQ in your own LEGO boat, riding a Dragon through a medieval castle or discovering the lost metropolis of Atlantis in a Submarine – The LEGOLAND Windsor Resort has something for the whole family.Plus new for 2019, The Haunted House Monster Party! Attend Lord Vampyre’s birthday celebration as his special guests and experience his all new ride. Spanning across 75,000 square feet, KidZania is an amazing indoor city built just for kids aged 4-14 years old! Children get the chance to challenge themselves and explore the world of opportunities. If your child has ever dreamt of becoming a pilot, a firefighter or the next award-winning dancer, watch the excitement on their faces as they try out real life activities! The concept gives them their first taste of independence and discover their future career. *Important: Please note that for the “Buy Online” option, only advanced online bookings made via http://london.kidzania.com/en-uk/pages/days-out-guide will receive a 2FOR1 discount. 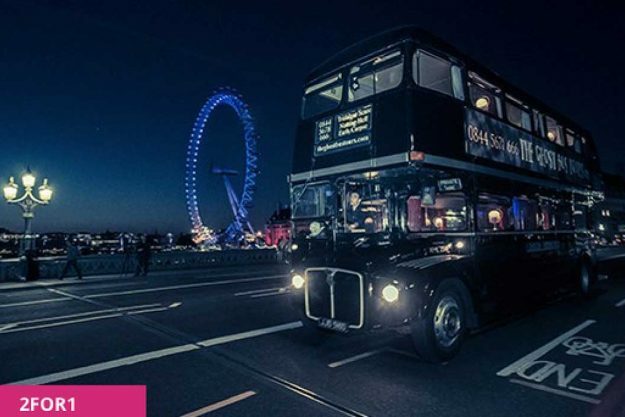 With a bloody, brutish past packed with the tortured souls of the dead, London is perfect for a haunted bus tour, with adult tickets from £23 each.The capital is bursting with sights and stories of the otherworldly, and for those with the courage to explore the darker side of history, it’s a sight to see. And from where better to bask in the depravity of the capital’s coloured past than aboard a twisted version of a London tour bus, The Ghost Bus Tours? Escape rooms where you solve clues to get out have become hugely popular in recent years – and here you can get IN for half price. First time players can test their logic skills in the game Timelock, set within a 1920’s themed study, or more experienced players might prefer the ‘invisibility Gene’ which offers a more cryptic challenge and will have teams thinking outside the box in the hope of escaping this 1970’s science lab themed room. 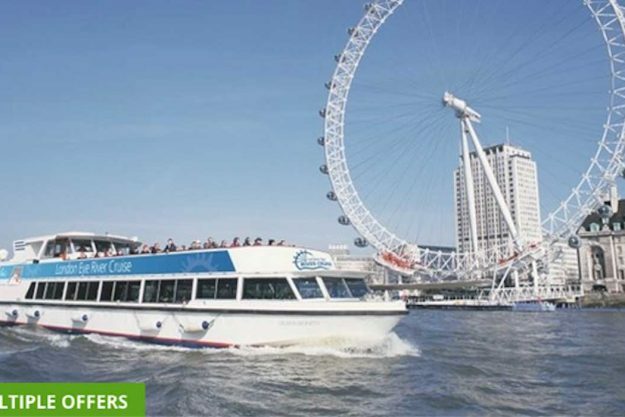 The award-winning London Eye River Cruise is a unique sightseeing cruise on the River Thames with live commentary. It starts at the London Eye pier and goes as far as Tower Bridge, returning 40 minutes later having cruised past the Houses of Parliament, St Paul’s Cathedral, the Tower of London, Shakespeare’s Globe as well as Westminster, Millennium and Tower Bridges.